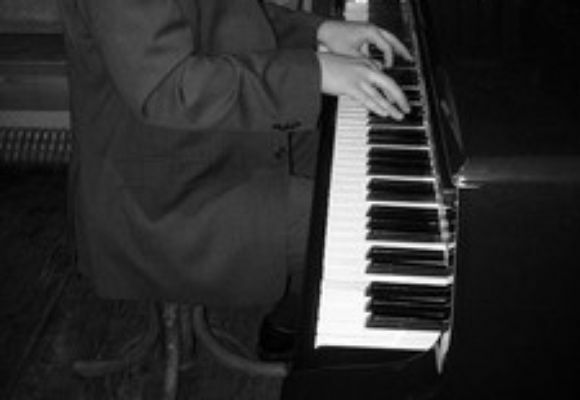 Jonathan Lefcoski born in North Eastern Pennsylvania in 1974 and began playing piano at the age of 4. He quickly excelled in his classical piano studies, and at age 14 he was admitted to the North Carolina School of the Arts (NCSA) after competing in the NCNB Scholarship Competition. While at NCSA Jonathan studied with classical pianist Clifton Matthews and attended and performed at the Tibor Varga Festival in Sion, Switzerland in 1991. During his final year of classical studies at NCSA Jonathan became interested in jazz and began studying the music of Oscar Peterson, Thelonius Monk, and Bill Evans with local Winston-Salem jazz pianist Bill Bright. Upon graduation Jonathan auditioned and was accepted to the University of New Orleans (UNO) where he continued his jazz studies with jazz patriarch Ellis Marsalis. While attending UNO Jonathan was invited to perform and teach at the 5th and 6th Annual International Jazz Workshops held in Innsbruck, Austria and Lanciano, Italy. Next, Jonathan joined the band of drummer Jason Marsalis and played on Jasons first 2 albums: The Year of the Drummer (Basin Street Records, released in 1998) and Music in Motion (Basin Street Records, released in 2000). Between 1996 and 2000 Jonathan also toured and performed with Grammy winning trumpeter Nicholas Payton and with the legendary R&B vocalist Johnny Adams. In July 2000, Jonathan made the move to New York City, and in 2001 began touring internationally with New Orleans Saxophonist Donald Harrison Jr. an alumnus of Art Blakelys Jazz Messengers. In 2002 he appeared on Donald Harrisons record Real Life Stories. After this musical association Jonathan was inspired to begin composing for his own band and produced a number of original compositions between 2003 and 2005. In November 2005 Jonathan performed & toured with the Stephanie & Marlon Jordon Quintet in Romania, Lithuania, Germany and Ukraine as musical ambassadors for the US State Department in an effort to thank those countries for their support of New Orleans during Hurricane Katrina. In 2006 the Crescent City Collective was formed as a collaborative effort with fellow New Orleans musicians Derek Douget, Jason Stewart, and Jason Marsalis who had all relocated to New York from New Orleans. This groups goal is to promote the music, musicians, and musical history of New Orleans on a national level through performances and masterclasses at schools and universities. In March and April 2009 Jonathan performed and taught in Armenia, Afghanistan, Iraq and Lebanon as part of a US State Department program entitled Musical Overtures. Jonathan continues to reside in New York while performing, teaching and recording both locally and nationally.